Lawrence Tabas, a ray of Republican hope. 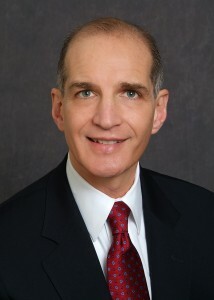 Respected attorney Lawrence Tabas has announced his candidacy for chairman of the Republican Party of Pennsylvania. The leading alternative is Chesco GOP Chairman Val DiGiorgio, whose incompetency has weakened that once-powerful county organization. He has demoralized the most dedicated Republicans — many of whom now consider themselves former Republicans — for go-along/get-along-toe-the-party-line-at-all-cost types. What is especially damning is that he did not even bother to try to win over dissenters but launched what could fairly be called a purge. That is the very definition of bad leadership. And let us not forget his incestuous relationship with big-wheel Democrats and his employment with the state’s leading light of special interest. A DiGiorgio chairmanship could very well be the end of the Pennsylvania Republican Party. Tabas is general counsel of the state Republican Party. Even those he beats in court respect him. He has been a Republican activist for 38 years and has worked with candidates at every level. And he knows what the job of party chairman is. He has pledged not to take a salary or do lobbying while chairman. Hey! I really like this guy. Yes, Castor, He sounds like a Tump clone. Ah yes America is looking good! Time for a change…..let’s support him!! !